Sirius Media is dedicated to building bright websites for small business that shine above the rest. We believe in user-centered design solutions. For our clients that means the web site will be created to meet their business goals and meet their budget. For the visitors to our websites, this means their experience will be effortless, useful, delightful and satisfying. Fellene Gaylord is the Creative-in-Chief of Sirius Media. With years of award-winning design expertise in both web and print media, Fellene offers the best of both worlds when it comes to communications. Her print design work has ranged from literally millions of maps for TriMet, to outreach materials for OHSU’s Center for Women’s Health, to projects for public and private agencies all over Southwest Washington. Since 2007, Fellene has been building affordable and effective small websites for small business, non-profits and public agencies. Sirius Media has created over 100 unique sites for clients ranging from health based non-profits, to photographers, artists, and musicians, to landscapers, excavators, city governments, veterinary brokers, museums, events and commercial contractors. 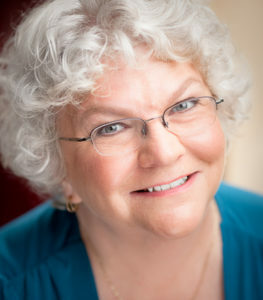 As the head of the Executive Council for CHIFOO, the Computer Human Interaction Forum of Oregon, she has served the user experience community by providing a nationally known educational series. Her service on the Executive Council has provided the chance to learn about web usability research from the innovators in the field, connect with the local UX leaders, and help newcomers find their place in the local jobs environment. In 2015, she began teaching WordPress and Social Media as an adjunct instructor at Clark College, in Vancouver, Washington. Having the opportunity to share the skills she’s spent a lifetime learning with others has presented her the opportunity to give back to the community and lead the next generation of talent. Few designers currently working offer the range of skills Fellene offers her clients. She is able to offer graphic and web design, interaction design, social media management, search engine optimization, photography, website development, cartography, and videography, with the understanding of how it works together. Every website she creates is designed to provide results that are usable, engaging and customer driven.